The Lamb among the beasts! 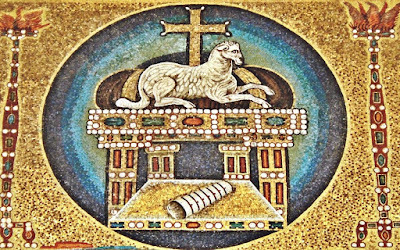 St. John also saw the Lamb as the Victor over all the beasts. Christ among the demons! One would say, "They will devour Him!" Nevertheless, the terrified demons cry out to Him for mercy and flee from Him without turning back. Christ among His tormentors! One would say, "They will destroy Him forever." Nevertheless, He resurrects and conquers and they flee from Him in terror and perish. The Church among the heathens! One would say, "They will flood her [the Church] like the waves over a small island." Nevertheless, the pagan kingdoms sank and fell apart and the Church still exists, flourishes and advances. The Faith of Christ among the pungent philosophers and theoreticians! One would say, "They will out-smart it [the Faith] and banish it [the Faith] from the world." Nevertheless, they steer one another into lies and persecutions but the Faith of Christ saves men. Reverence among the blasphemers of God and apostates from God! One would say, "We will soil it!" Nevertheless, they are smothered in their own filth and reverence preserves itself in unsoiled purity. Christian meekness and tearfulness in the midst of tyrants and abductors! One would say, "It will die of hunger!" Nevertheless, it lives and walks satiated, while the tyrants and abductors suffer from starvation. The Lamb among the beasts! 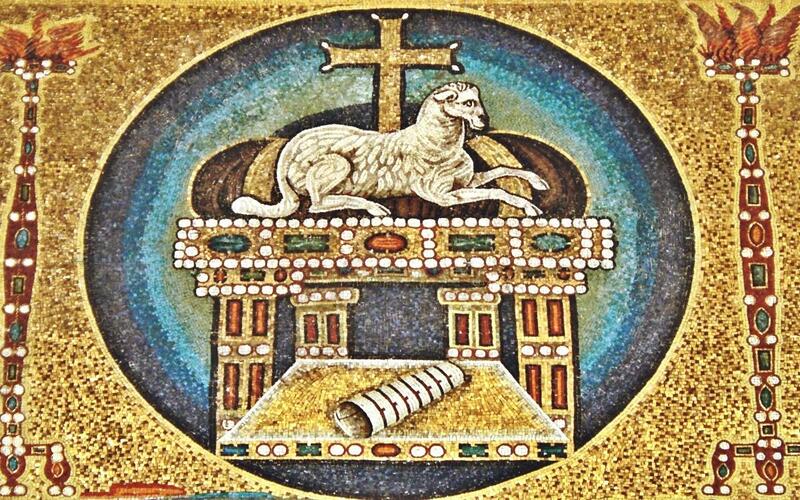 Nevertheless, the Lamb is the Victor. O Lord, Meek and Good, Lamb of God, all caressing, imbue us with Your meekness and goodness, so that even we may share in Your victory.,To You be glory and thanks always. Amen.